Along with acting, one of her other great passions is math. She is actually a renowned mathematician who has a physics theorem named after her. How concerned are you about the future of our country?… We live in a country where girls and boys are not doing as well as they should in the maths and sciences, and yet we don’t have another generation to replace them with. Danica McKellar: Well, on a practical level, right now we’re having to outsource to foreign countries for many of our technologically savvy jobs. We are losing more and more of our positions for Americans that are going to foreigners because we’re not smart enough. Well, maybe the issue is tapping untapped resources like women, minorities, and people with disabilities in math. But really, everyone is losing interest in math and science. Tavis Smiley: You talk to kids, I read somewhere on your website, about math issues. Danica McKellar: Oh, all the time, absolutely. Through my website, I’ve been answering math questions and talking about math issues for a long time. Tavis Smiley: So how does it feel to have a theorem that bears your name? Danica McKellar: It feels great. But you know, the comment that you made – and thank you very much for complimenting me on my appearance – that how could I have a theorem named after me, that’s the very point that I’m addressing in this book. That being glamorous and fashionable and all the rest of it is wonderful and so much fun to pursue as a girl – it really is. It’s girly and it’s great. Being smart is part of it. It is not a choice. Tavis Smiley: And it’s not an either-or. Danica McKellar: It’s not either-or. Tavis Smiley: It can be both-and. PBS video: Are You the Girl from “The Wonder Years”? 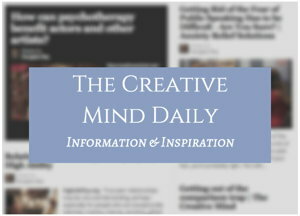 One of my related posts: Multitalented Creative People.